Not many guys hit it off at the MLB level quite as easily and quickly as Bryant. He may be a stretch for this list today, but we’re figuring it won’t be long until he’s a perennial MVP candidate. Adidas made a fantastic decision by signing him, maybe we will see some adidas Bryant Boost signatures in the future. 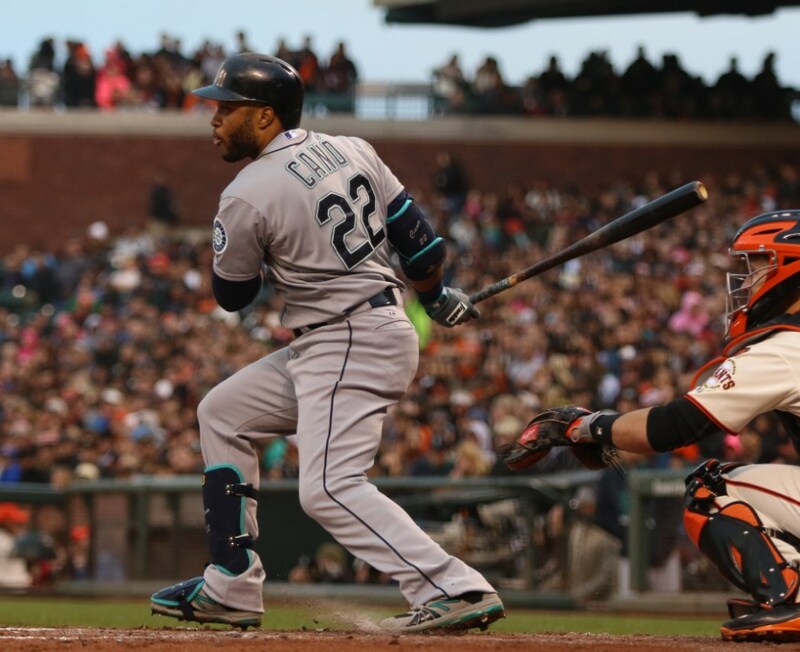 After hitting .300+ for six years in a row, Cano’s entitled to a little slump. As one of the smoothest middle infielders in the game, Cano makes playing Gold Glove second base look like a walk in the park. On his feet, he sticks with some very nice PE 3000v2s from New Balance. These take advantage of all the possible color blocking styles on the model. Canada’s newest hero, Troy Tulowitzki, is the best player at baseball’s most athletically-demanding position. He can do anything he wants on a ballfield, and he wears whatever he wants, too. 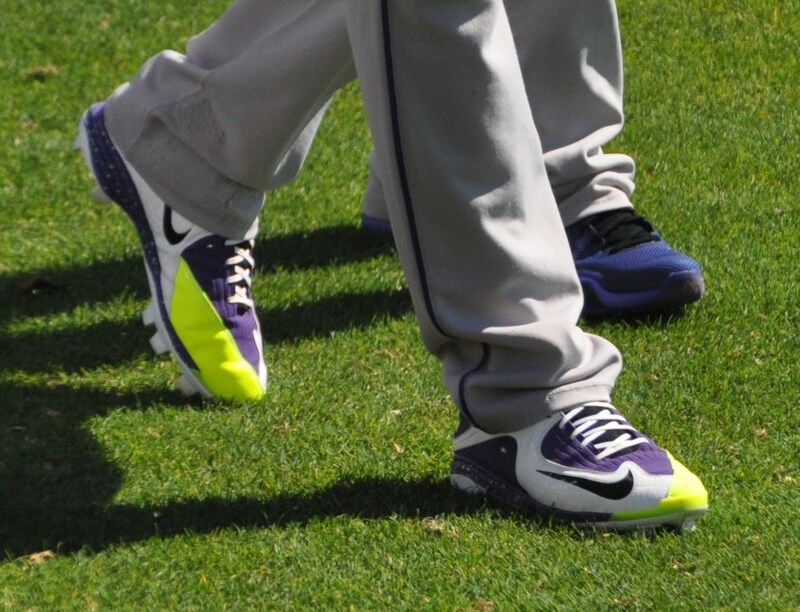 He’s been getting super-duper custom Nike love for many years and, while still with the Rockies, Tulo reached back into those archives with a (literally) sterling pair of Nike Shox Fuse 2. 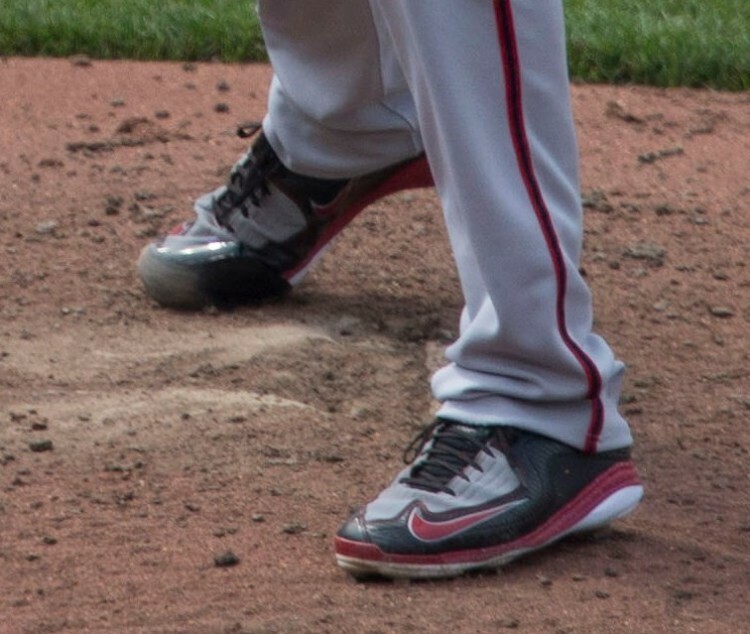 With the Jays he debuted in the Nike Air MVP Pro 2 metals, though we are used to seeing Tulo, who has a history of leg injuries, in plastic cleats. You can read in our plastic vs metal post exactly why he makes that choice. Some players play so consistently that we tend to forget about them, even when they put up crazy numbers and make crazy plays. 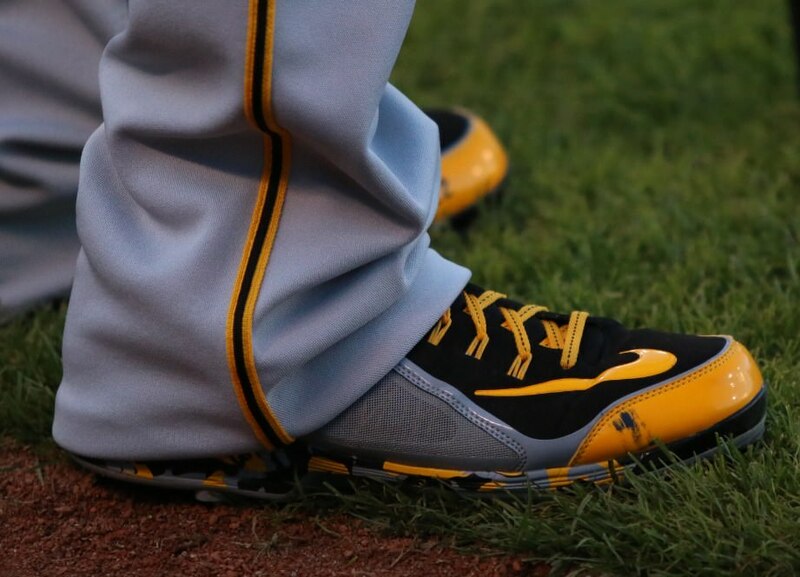 Andrew McCutchen is one of those guys, although you’d never suspect that based on his cleats. 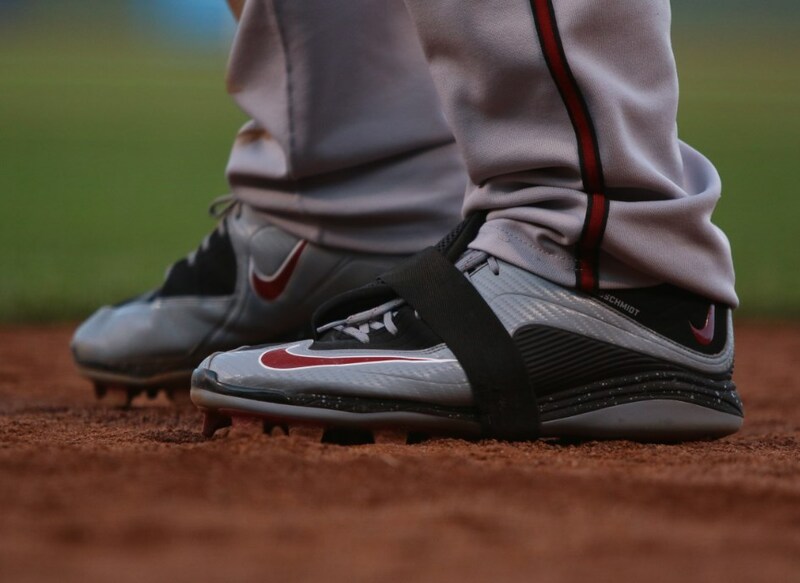 His PEs of the Nike Swingman MVP 2 are some of the freshest in baseball. 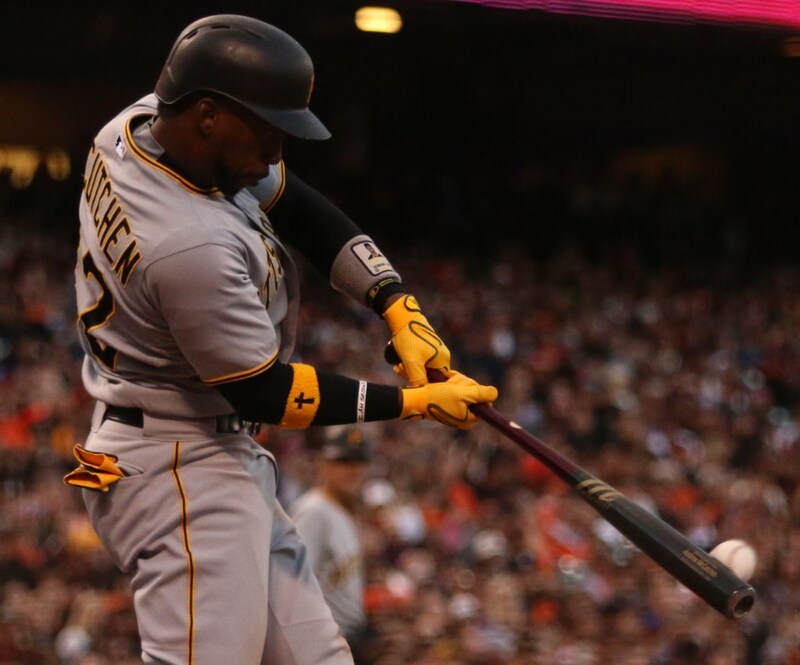 It certainly doesn’t hurt that the Pirates have a very nice color scheme. The Swingman comes packed with Flywire, Air, and old school construction. This cleat is designed to make you stand out on the field. 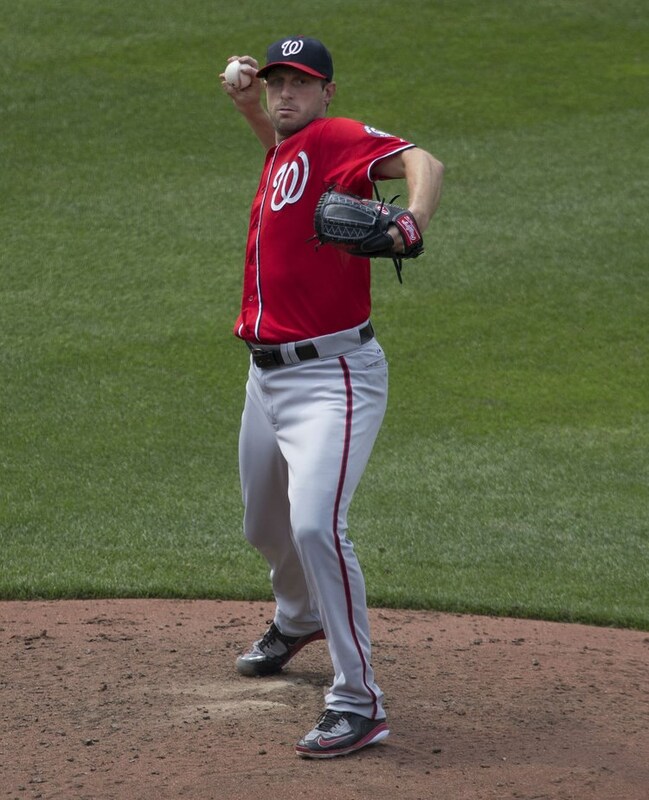 From a disgusting 16 K demolition of the Brewers, then following that up with a no-hitter (Jose Tabata you know what you did) versus the Pirates, Max Scherzer is as good as any pitcher in the game today, dominating hitters for a third straight season. 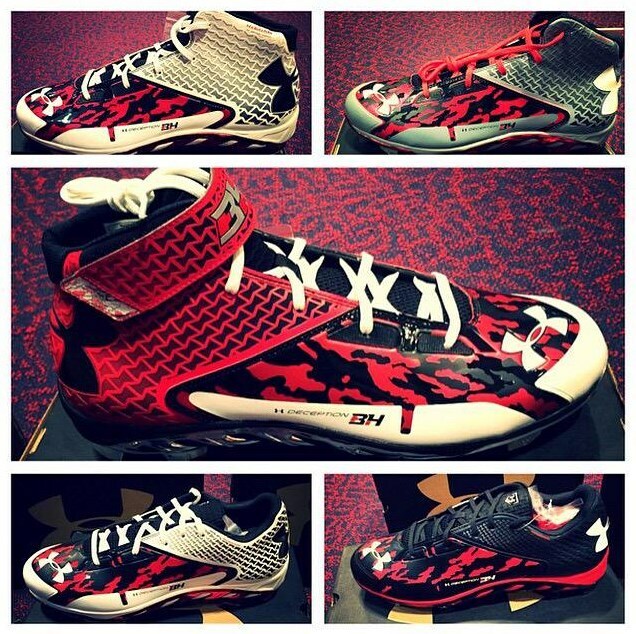 Gorgeous Air MVP Pro 2 PEs adorn his feet. 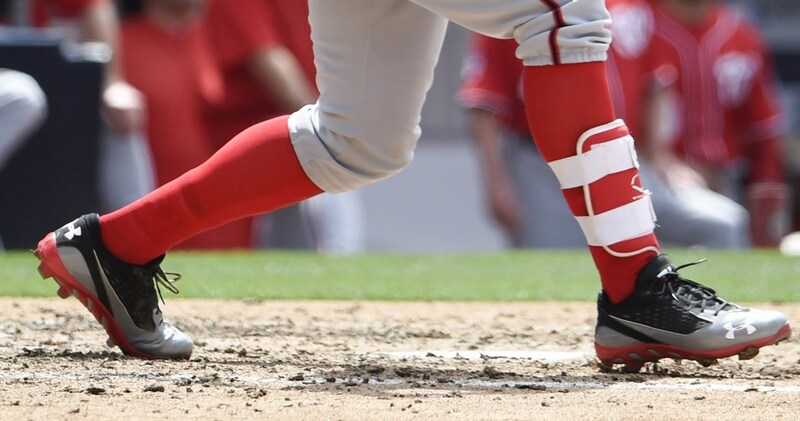 The support from the midfoot overlay and solid cushioning from the air is greatly appreciated while pitching, as is the extra toe overlay. 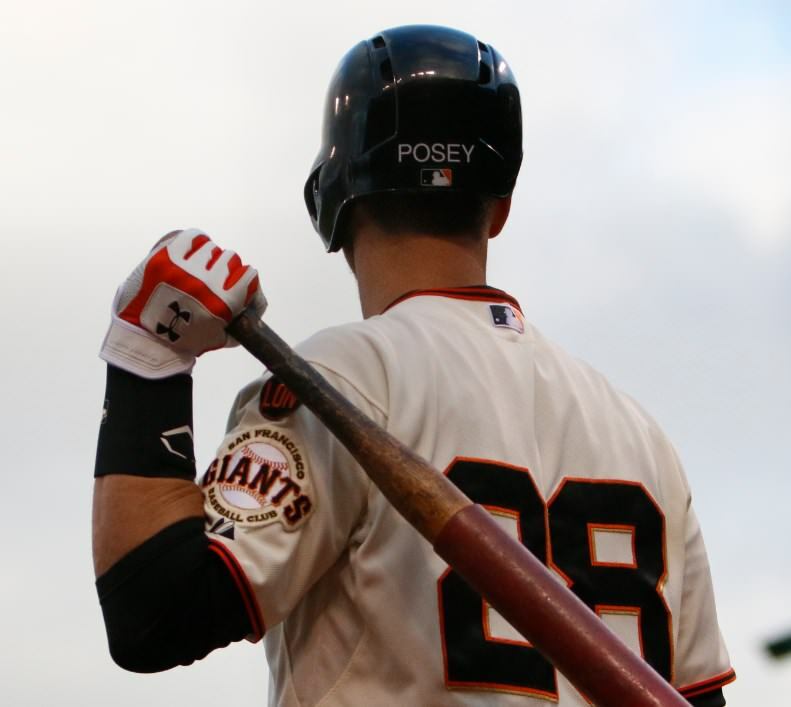 Year in and year out, Posey consistently opts to wear a TPU version of the Under Armour Yard. He keeps his gear laid back, never wearing crazy colorways or prints. That’s not to say he doesn’t have great taste. The colorblocking of a black upper and orange plate is undeniably a solid combination. 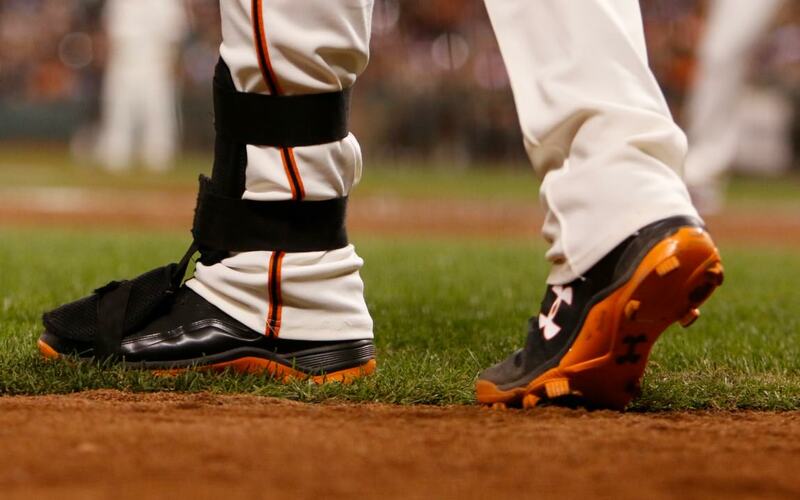 The TPU spikes cushion Posey’s joints more than metal does. The TPU spikes also offer less traction and therefore less chance of a repeat injury similar to the one in 2011, which occurred in metal spikes. Name another guy who hit .350 in a DOWN YEAR. The former Triple Crown winner keeps things old-school with the New Balance 2000(v1). He wears a midtop PE edition with personal logos on the tongue. 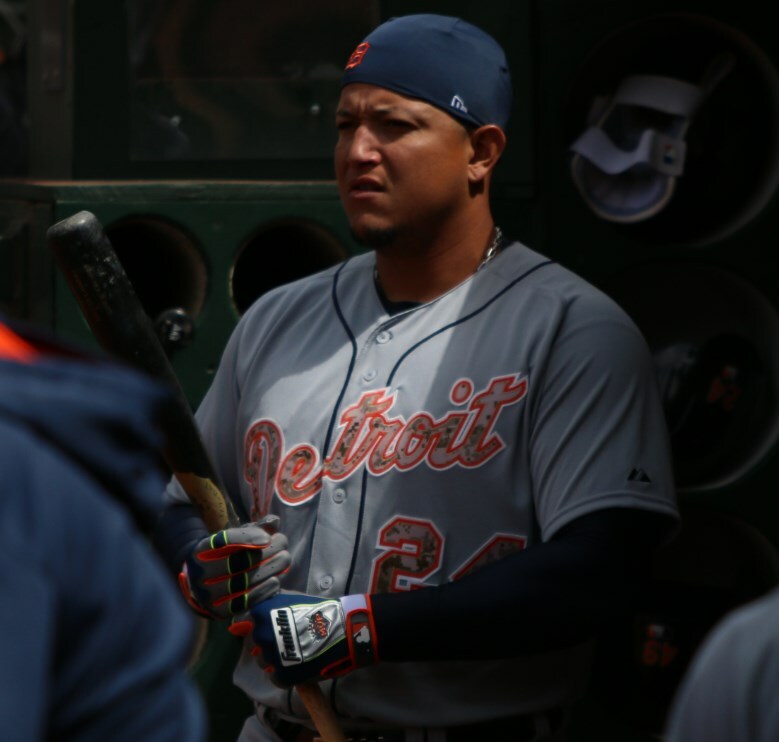 This isn’t the first time we’ve seen Cabrera opt for a midtop edition over the low. In 2013, we saw his run of PE 2000 Mids. The molded style has helped Cabrera to be one of the most durable players in baseball for 13 seasons. Adverse to change, Chris Sale has worn the Advanced Classic 7 since 2012. Fortunately, Mizunos are produced over a few seasons, so these are still available and on sale (pun not intended). 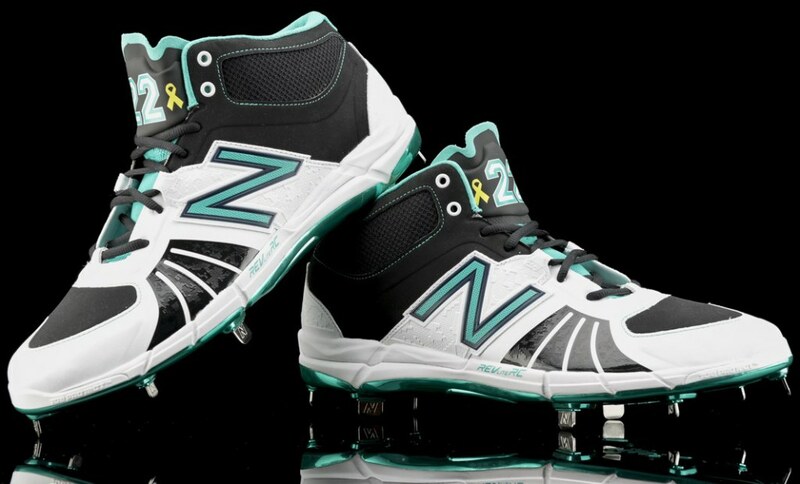 The White Sox monochromatic color scheme doesn’t allow for much individuality or creativity with colors, but Sale has a few different versions of the cleat. From changes in the midsole streak to color variations on the toecap and heel panel, Sale keeps it mixed up. On throwback days, a red colorway of the Swagger 2 Low comes out. 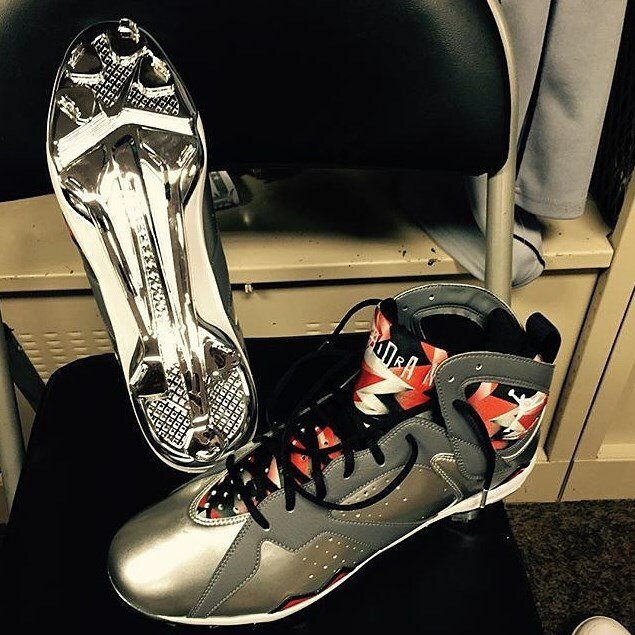 Perhaps the most decked out guy on this list, Machado gets his own stash of Jordan PE cleats. This year it’s the Air Jordan 7, last year the 6. A few excellent pairs of Super.Fly 3 PEs back up these kicks-turned-cleats. Being a retro Jordan, the 7 is a throwback to raw leather and Air being the extent of tech. 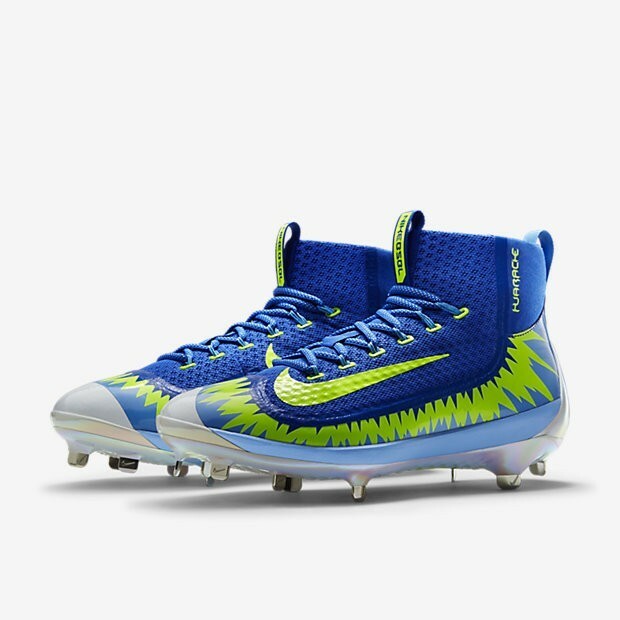 These cleats get the job done, but, if we’re being realistic, they’re really for being the flyest person on the field. The Super.Fly 3s are another story. They are decked out in today’s top tech and extremely durable. The hard fuse will certainly last all season and are great for a third baseman making quick reaction plays. Wasting no time adopting the newest, greatest Nike model, Donaldson clearly wasn’t thrilled with this year’s Nike line-up. 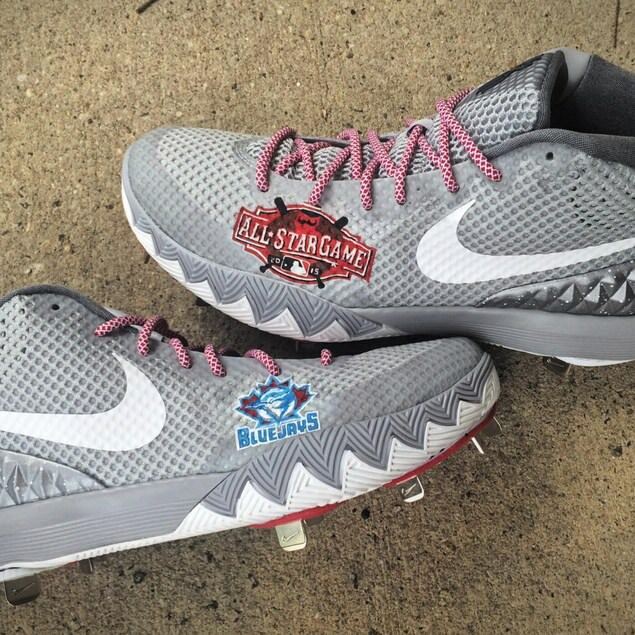 From May to the All-Star Break, he could be seen wearing a Custom Cleat version of the Nike Kyrie 1. Prior to this, a screenprinted upper NikeiD Huarache Pro Mid and a Nike Air MVP Pro graced his feet. The Kyries are another example of basketball shoes (literally) crossing over to baseball. They offer a more comfortable upper, better cushioning and better aesthetics. Donaldson even had Mache make up a pair of Kyries for All-Star Weekend. Halfway through the list we run into on of the most thrilling players to watch. 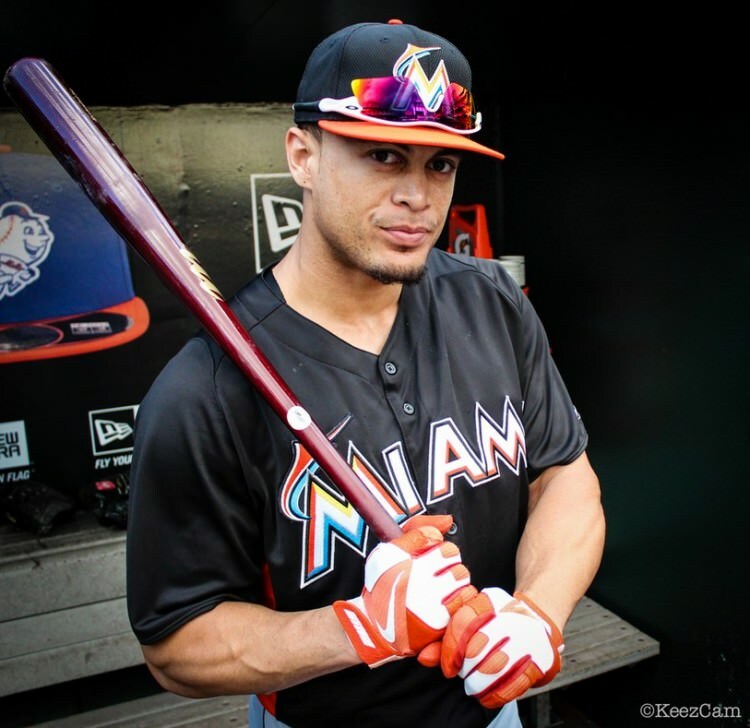 Giancarlo Stanton obliterates baseballs like no one we’ve seen in this post-steroid era. His power is borderline mythical. For the past two seasons, Stanton has worn the Nike Huarache Pro in some crazy PE versions that can be closely approximated on NikeiD. This Huarache has been a common sight on many players’ feet both this year and last. Comfort is clearly there, and it comes in a very aggressive looking package. Quietly putting up massive numbers in the desert, Goldy has been raking in the Air MVP Pro 2. A modestly priced cleat, the true nature of the cleat hasn’t changed since 2011 when it was dubbed the Air Show Elite. The upper is very supportive and the midsole cushions the wearer with an Air-bag. The colorways and molded styles given to Goldschmidt unfortunately aren’t available to the public. Another guy who found what he likes and won’t make changes. 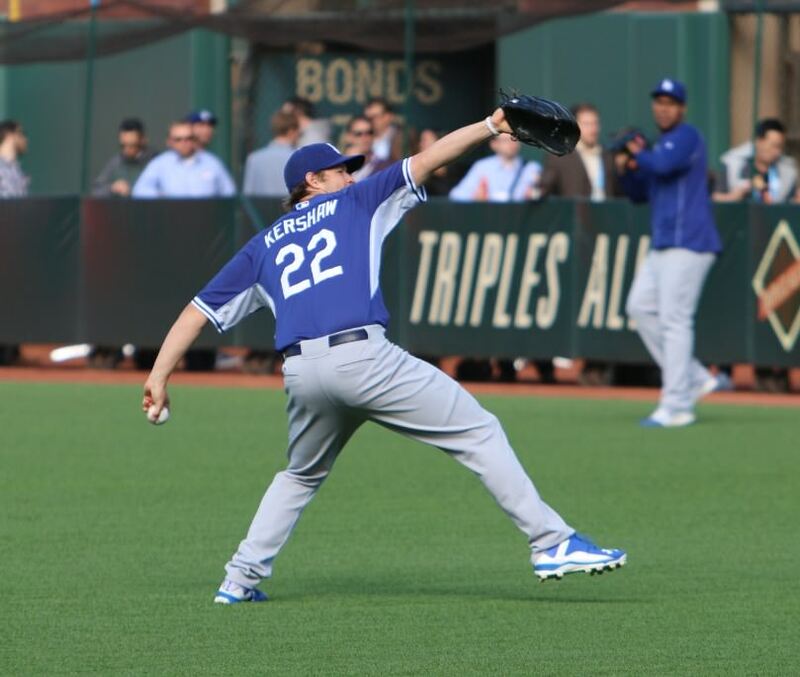 Kershaw has been rocking the Under Armour Ignite since 2009! These cleats are no longer available and haven’t been for at least 5 years. It may be possible to scour the depths of eBay for a pair, but the chances of striking gold are slim. 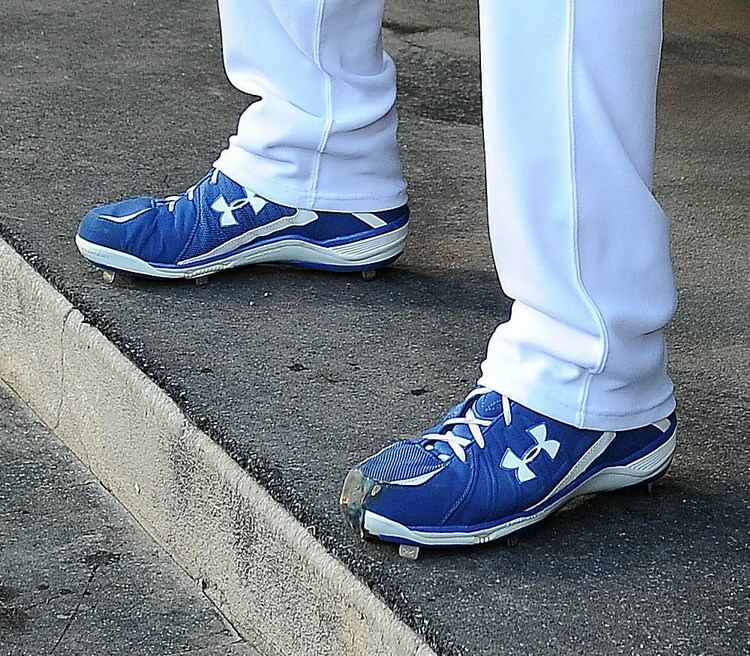 The Under Armour Ignite must be the perfect cleat in Kershaw’s opinion and must feel like it was made for him. From Under Armour’s perspective, how can you say, “Sorry, we can’t make these anymore.” to the best pitcher in baseball? The toe of the Ignite has been covered in Toe Tuff. For the foreseeable future, we can expect Kershaw to stick to his guns. The most hyped prospect ever, Bryce Harper’s detractors foolishly started throwing out the word “bust,” even after 3 above average but not superlative seasons in the majors. This year he reminded all of us why he was hyped. 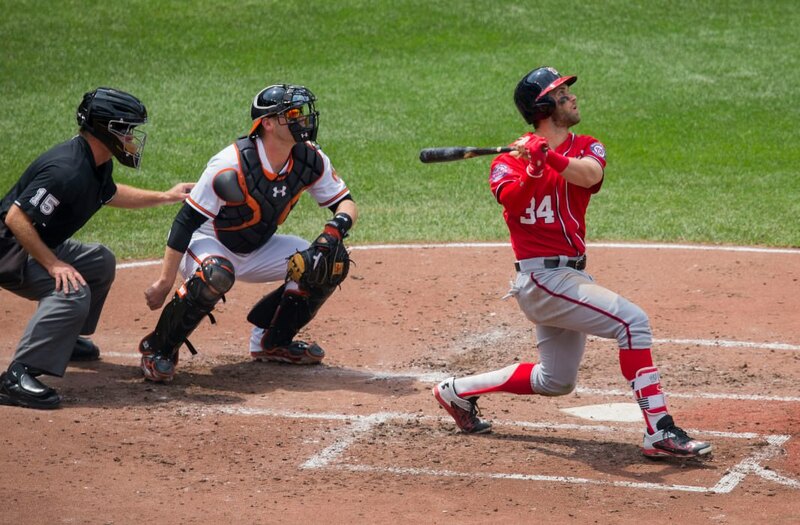 Smashing baseballs and playing with reckless abandon were exactly what we expected from Harper. 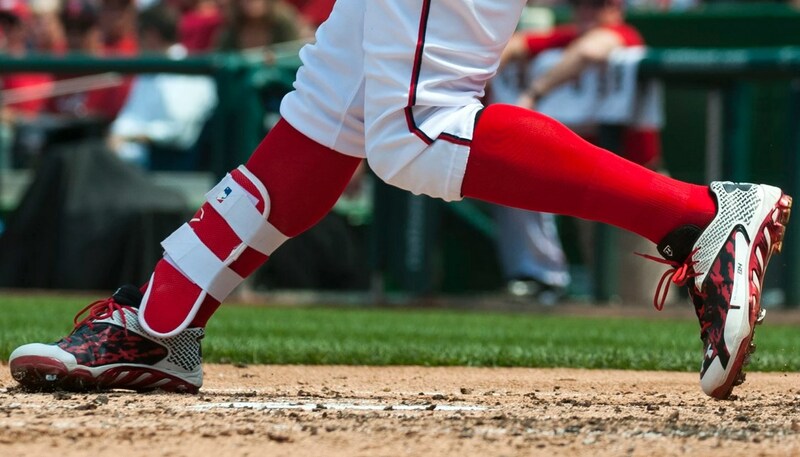 For most of the season he has been wearing a custom pair of Deception cleats fitted with a Spine plate. He often brings back his Naturals, also fitted with a Spine plate, from seasons past. With a potential signature cleat on the horizon, things are looking very good for the DC superstar. When you have 129 HRs, 112 SBs, and a career line of .307/.397/.563 at an up-the-middle position before you turn 24, you definitely are the best player in baseball. Mike Trout and Bryce Harper have saved the sport of baseball, bringing us back to a time when the game was played hard. 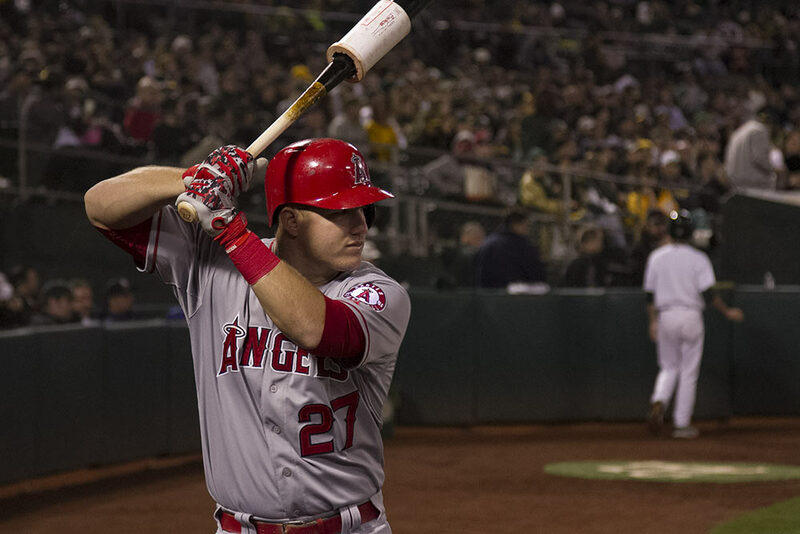 Trout’s immediate impact paid off in a big way, earning him a massive $144.5 million dollar contract and a signature shoe with Nike. 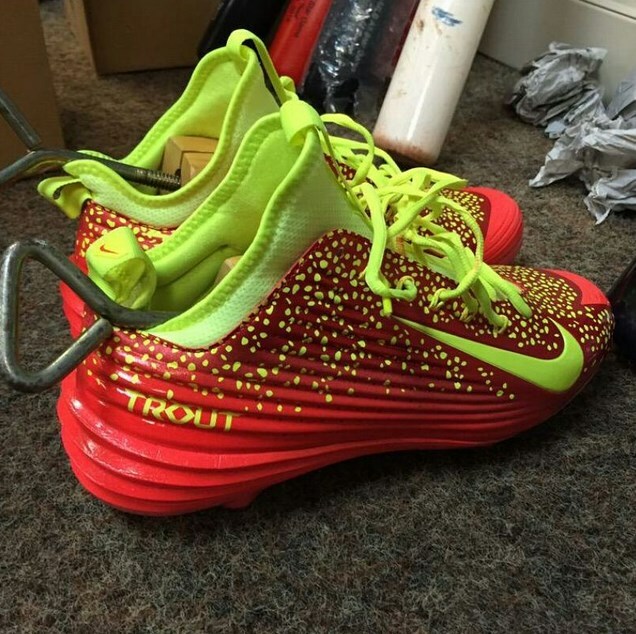 The Lunar Vapor Trout is comfortable, supportive, explosive, and stylish. 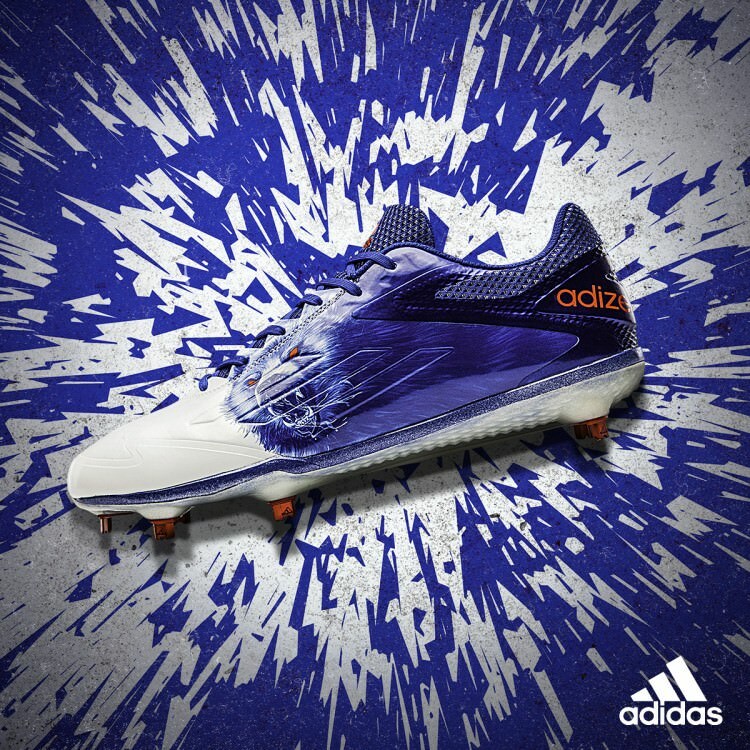 It is a shoe fit for a baseball king. This list is a subjective compilation of the best players in baseball. We left someone out, without question. Feel free to comment, but maybe add something about their cleats since, you know, that was the whole point. Custom Cleats Inc. can be found at this Link. The previous Top 10 List can be found here.